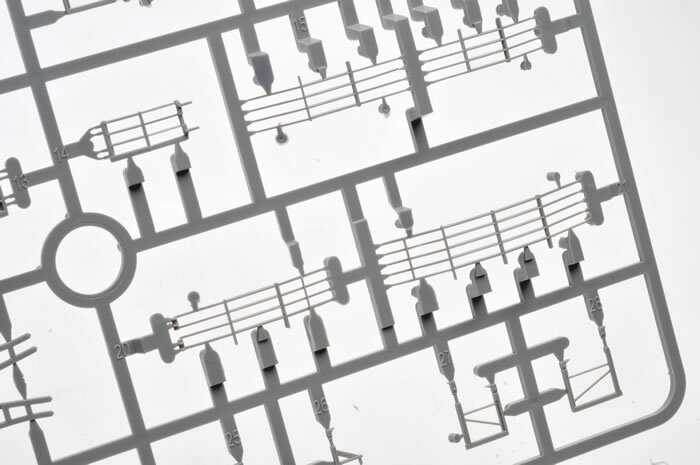 479 parts in grey plastic, 184 individual track links, photo-etched fret; 12 parts in clear. 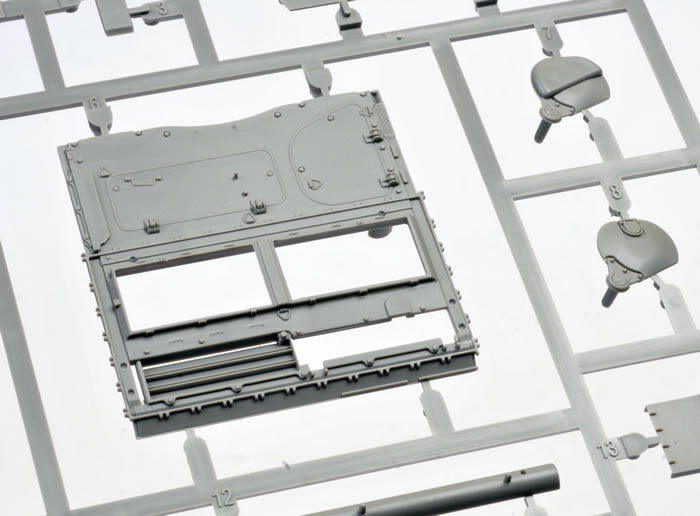 High level of detail; straightforward engineering; interestig subject that has not been kitted before. Some moulding flaws; unecessarily complex road wheels / tyres. The Chinese Type 69 tank became the first independently Chinese-developed main battle tank. 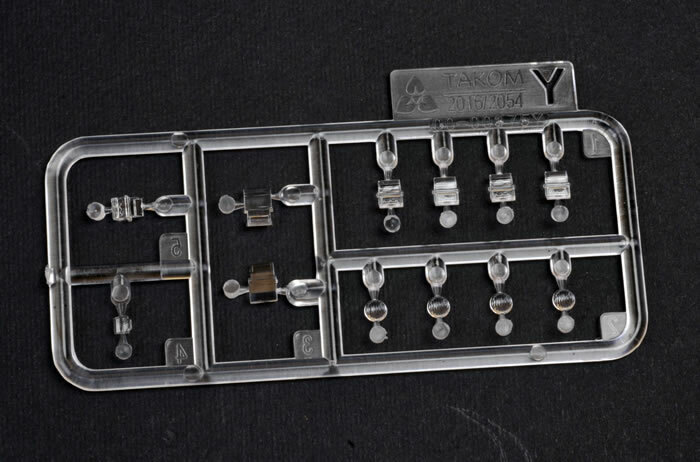 The Type II (of which this new Takom kit represents) was first reveled in 1982. The early versions of the Type 69 were only used in limited quantities and were developed from both the original Soviet T-54 (or Type 59 as it was known in Chinese service) and reverse engineered components from an acquired Soviet T-62. The PLA was unsatisfied with the Type 69's performance, but ironically they went on to become one of China's most successful armored vehicle exports. Over 2,000 were sold worldwide. My first introduction to the type was from the media coverage of the first Gulf War. 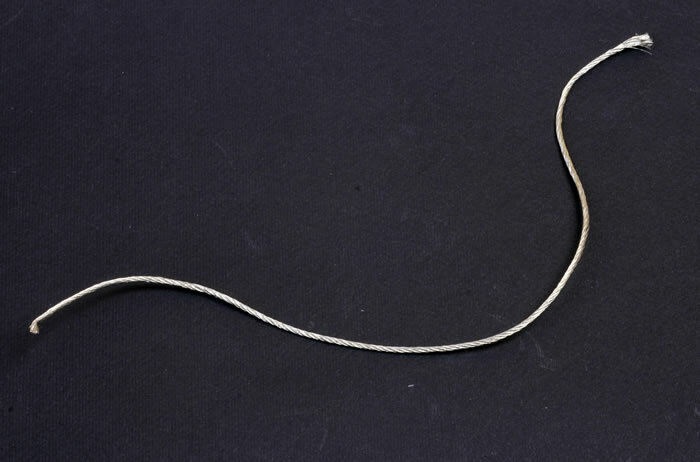 Iraqi had purchased the vast majority of the export versions of the type and for various reasons they littered the battle field after that conflict. 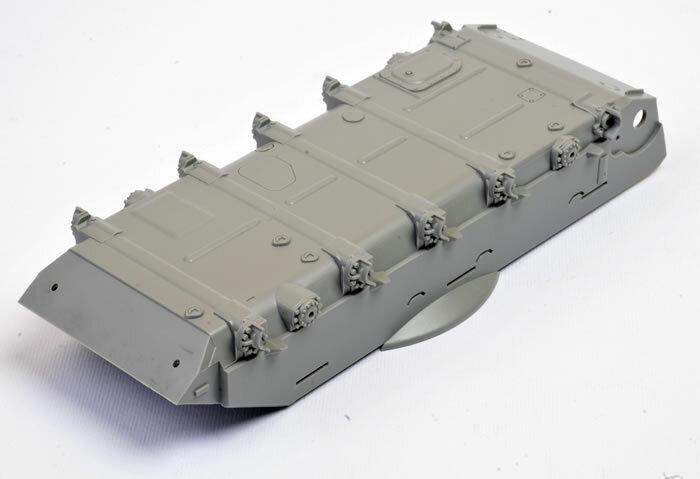 I was surprised by the announcement that Takom would do this vehicle, but in essence, it is a logical extension of their newly developed T-55 series. Up until now this particular version was only available as a conversion for the old (but quite well done Tamiya T-55). 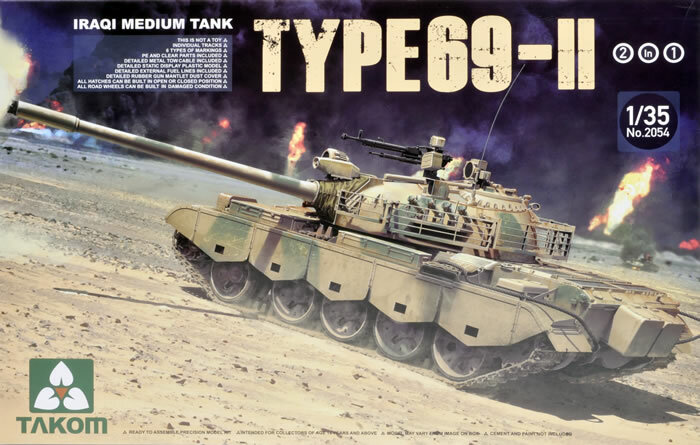 Takom’s 1:35 scale Type 69-II kit is presented in a highly attractive box with a very well-illustrated rending of the tank in action. 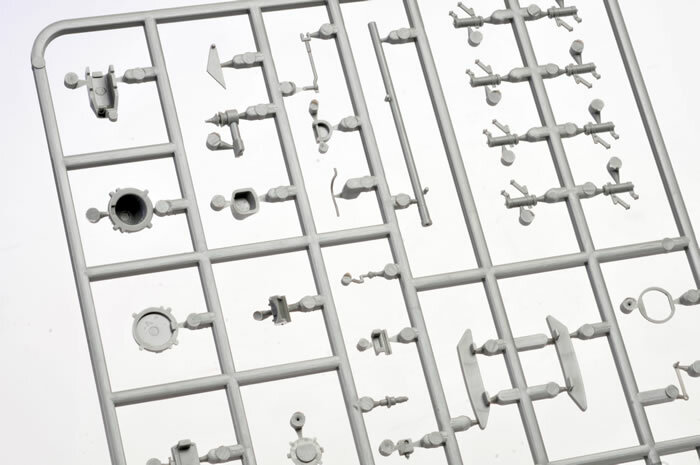 When opening the box one is greeted with seventeen light grey coloured main sprues with 479 individual parts. 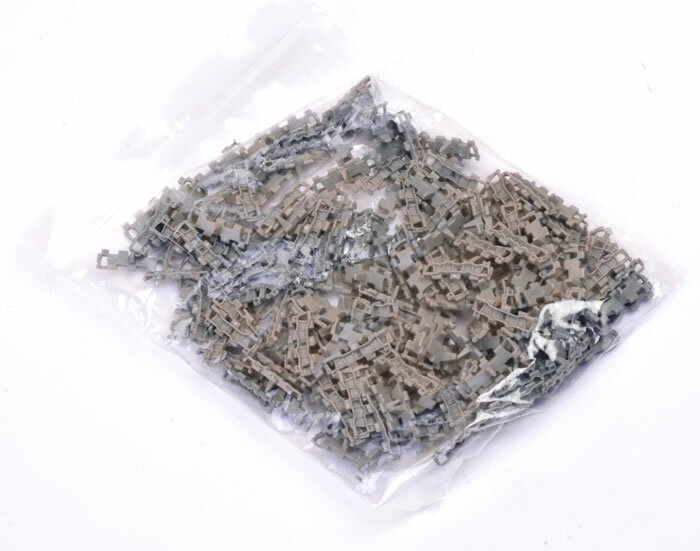 Another 184 parts are included for the individual tracks. 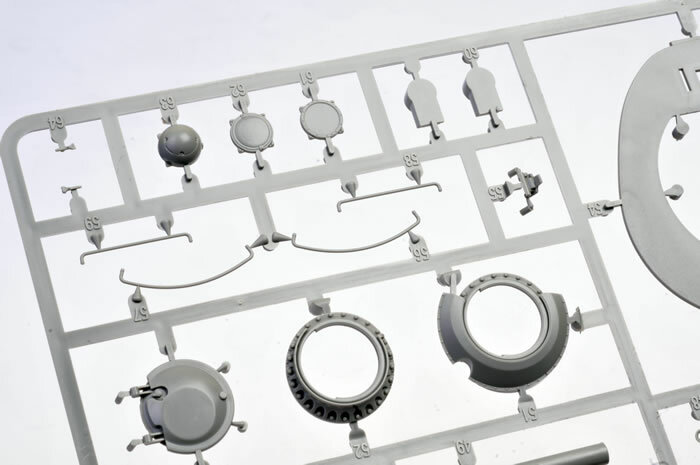 The molding of the pieces is generally first class with only some annoying sink marks on some parts. The lower hull tub is molded as a separate piece with outstanding definition. For the Type 69 however the front lower hull plate (when viewed from front on) should be rectangular. A simple fix for this would be replacing part “V2” with 20 plastic card and filling in the void to the first road wheel station. 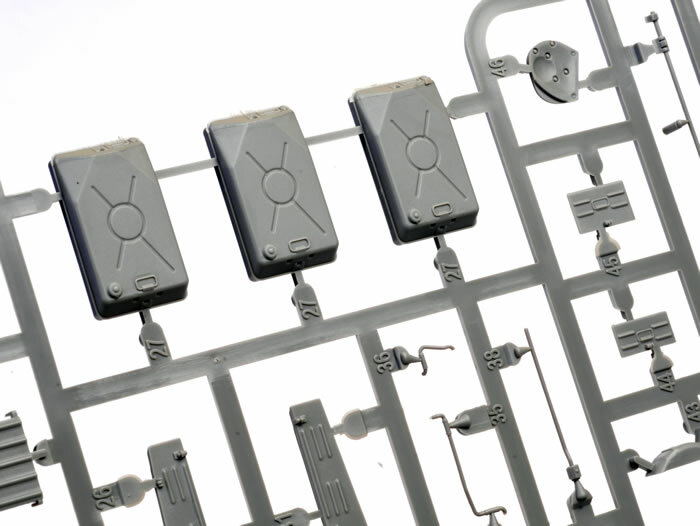 The upper hull is split into three pieces and is an obvious concession to the various versions Takom wish to produce. A quick dry fit revealed that these parts fit well together and indeed fit well onto the lower hull. Two very well done photo etch frets are included and include the headlight covers, engine screens, mud guard supports and various other hull and turret nick nacks. 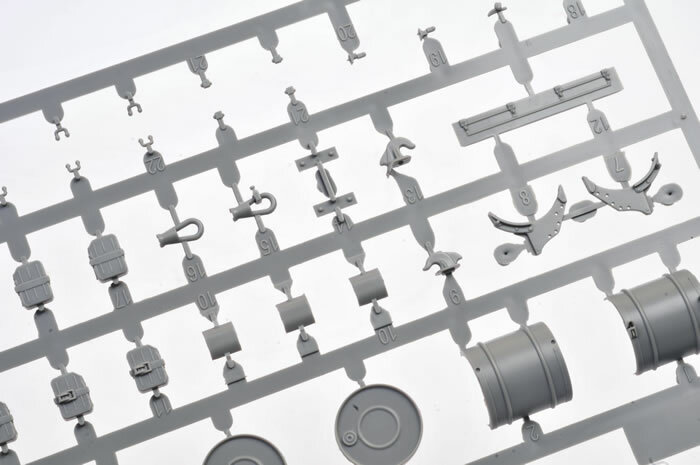 The contents of the kit are rounded off by the inclusion of one clear sprue, a small decal sheet with six marking choices together with an 18 page colour instruction booklet. The presentation and general feel of this kit is one of quality. This overall feeling is somewhat diminished however, when you start to look at the kit parts in detail. Take the distinctive road wheels. 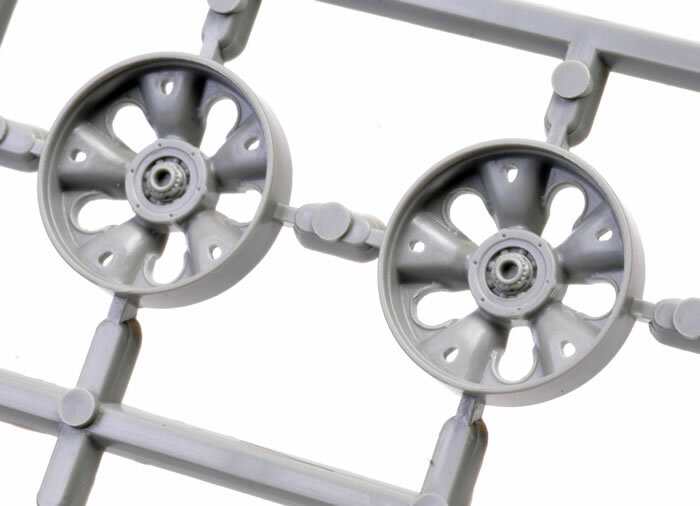 The wheels themselves have detail on both the inner and outer surfaces and for the most part are done to a very high standard. The hidden inner flutes are included as separate armored hub caps. 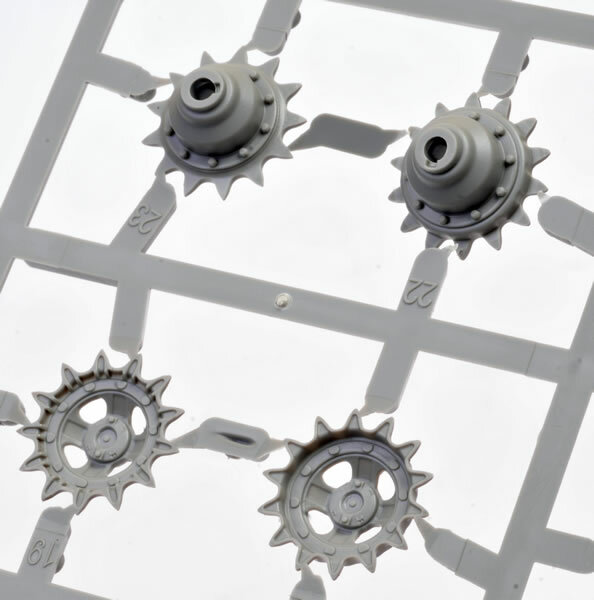 The rubber portion of the wheel itself are provided as separate pieces with the thin rubber mould lines represented in convex form as opposed to the Tamiya examples which are incorrectly depicted as concave depressions. 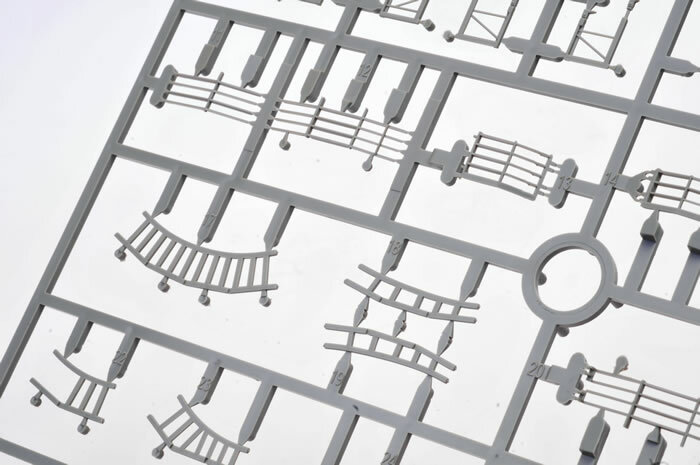 The Takom supplied examples will be great if you wish to portray the vehicle in a “burnt out” configuration but the sprue gates are right on the convex mould seams themselves. 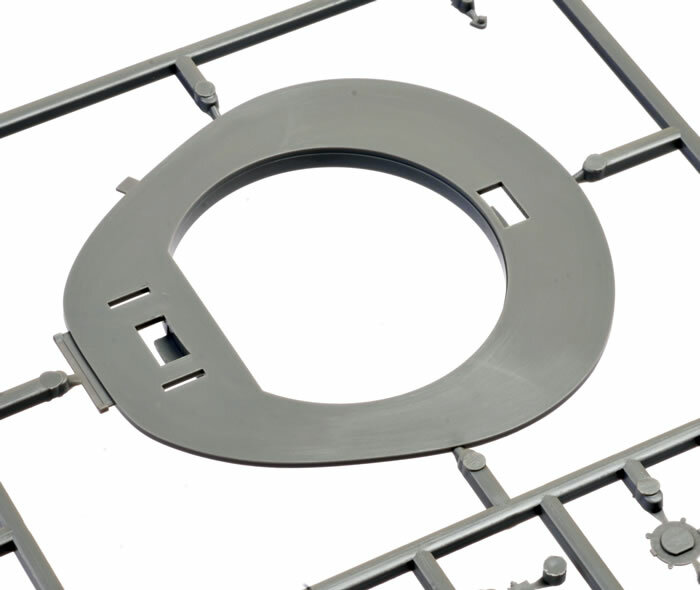 A simple solution would be to remove the piece from the sprue, clean up the offending area and replace the mould seam with thin stretched sprue. 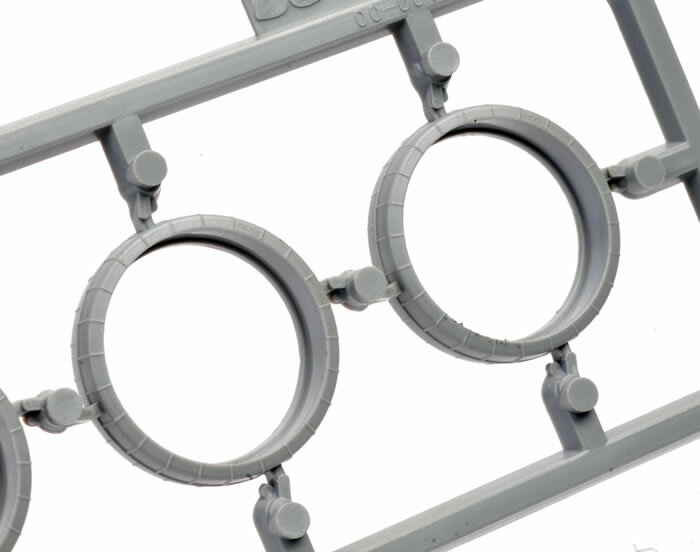 The real problem is that the mould maker should have only allowed for a maximum of two attachment points. This way the modeller would not have to clean and modify these parts at all as they could be hidden by the tracks. 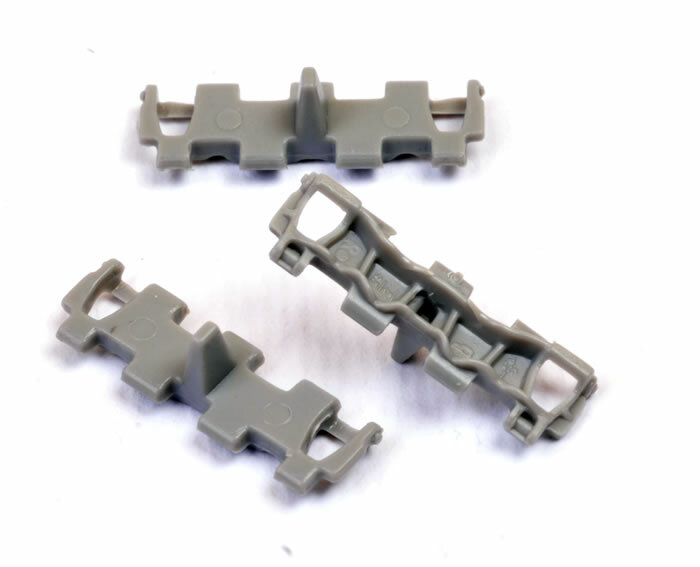 Even so, this molding flaw is more than made up by the inclusion of individual track links. The other problem is the armored hub covers. All ten should all be the same size. 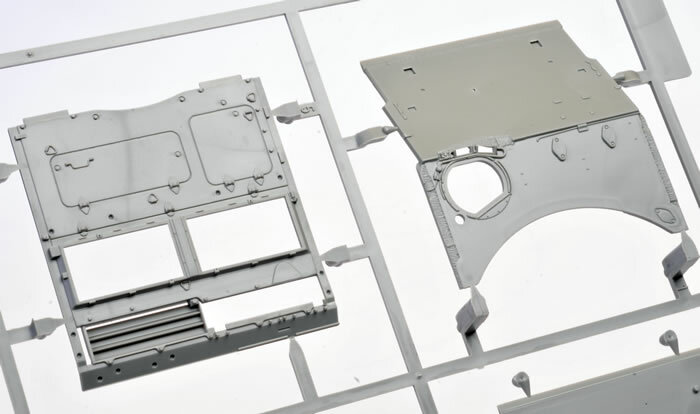 A simple solution would be to reduce parts A11 to appear the same size as the A10 parts. 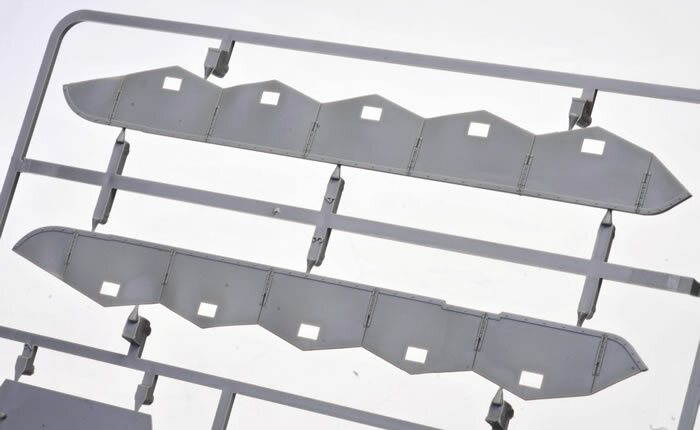 The tracks are not pinned, so the best method to assemble them is to liquid glue the links together, let them partially set for a half an hour and drape the lengths over the assembly. Each track has a small raised circle or knock out mark, but it is easily removed with a few swipes of a sanding stick. With this particular version and its unique saw-tooth side skirts, you would only have to do this with several of the tracks as not much of the inner track is seen. 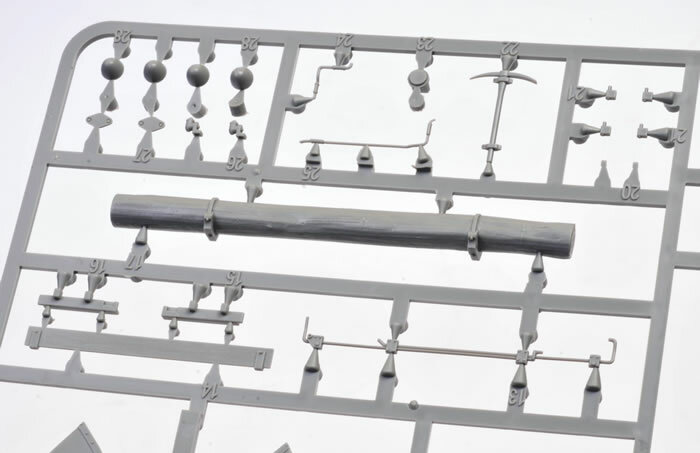 Moving on to the side skirts themselves, they are nicely done and relatively thin but if you wish to have more accurate renditions you could possible replace the rubber portion using the kit parts as a guide with 10 to 15 thou plastic card, slightly bending each saw tooth portion. 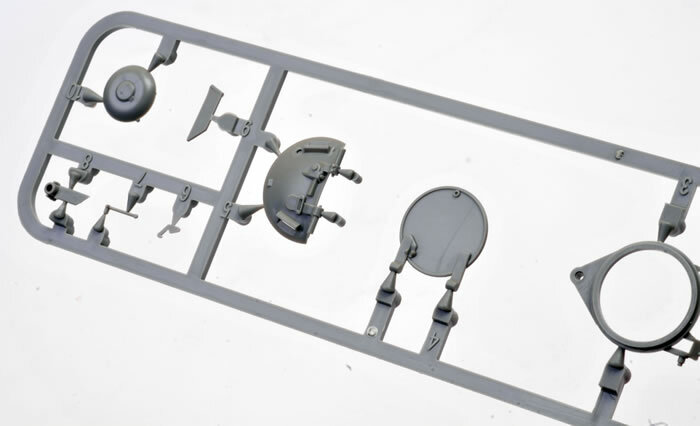 The stand -off off amour is supplied are plastic parts and are equal to any other of the various renditions I have seen in plastic. The real bonus here is that they are very easy to assemble. The down side is that they are still a little thick. 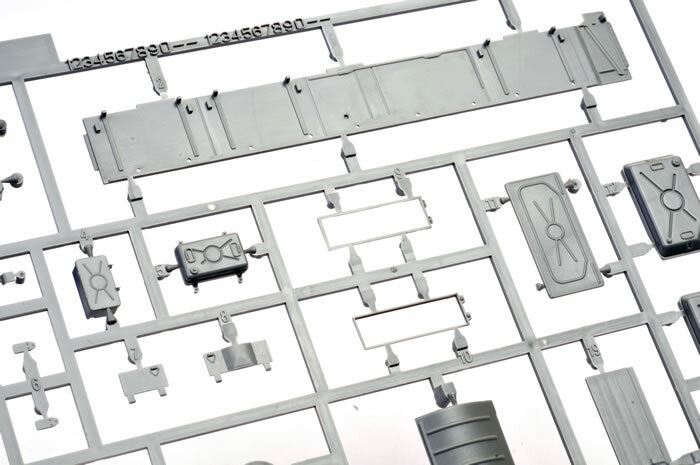 Although 95% of modellers will be happy with these, with the other 5% will probably opt for the photo-etched set that will undoubtedly follow this release. On balance, the kit is very well done and is a credit to Takom for having the foresight to release it. 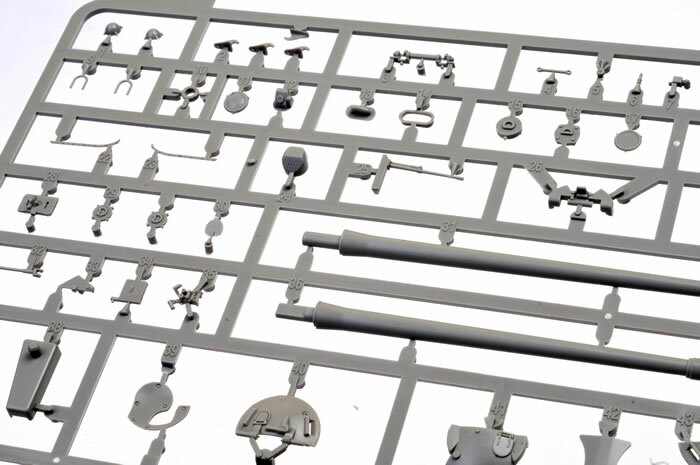 It has a number of very good features like the flexible material for the gun mantlet and the complete nature of the product itself. I like this kit as it is refreshingly different and very much better than I expected. The kit is not without its flaws but then again, I have never reviewed at kit that is perfect. 95% of armour modellers will be more than happy with this one. If you want a Type 69 with a minimum of fuss, I suggest this may be the kit for you.